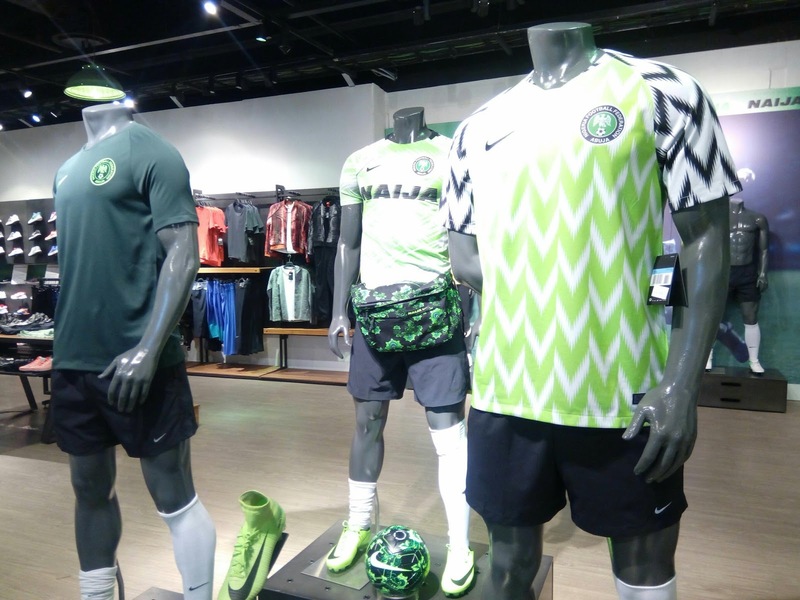 Nigeria Super Eagles 2018 FIFA World Cup jerseys sold out at the Nike Store in Ikeja City Mall, Lagos. There’s no crowd here, they simply never really got a decent supply. This happens every time. Nike usually sells it’s apparel most expensive in Europe, a little cheaper in the Americas, then very cheap in Asia and Africa. Our Super Eagles Jersey is being sold in the USA and Europe for the equivalent of N31,000 ($80 to $85), but in Nigeria they’re selling the jerseys for N40,000 ($110) and yet they ensured they didn’t supply more than a few thousand units. WHY?!! There’s definitely some fishy racket going on with The NFF regarding the matter of the Super Eagles jerseys. That’s why Adidas terminated our last deal, and Nigeria had to go begging sportswear companies round the world till Nike took pity on us. It’s a big shame that there’s nowhere we haven’t taken corruption to. See how millions of fake jerseys have flooded the entire country and nobody is doing a thing. Either the NFF executives are the ones running this racket, or they’re benefitting from it somehow. I will definitely petition the EFCC on this. The biggest question we should ask ourselves is how come those who have been importing and selling millions of fake Super Eagles jerseys for months now have still not sold out.